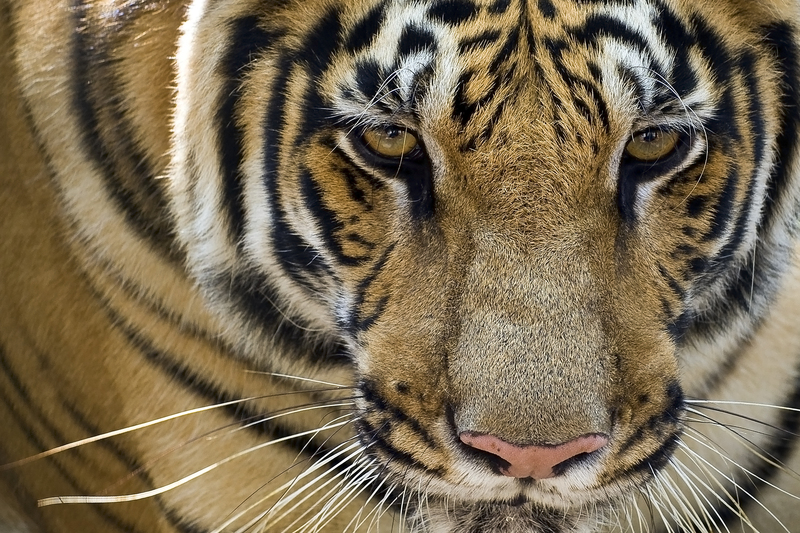 The recently publicized death of a tiger caught in a hunter’s snare on the Indonesian island of Sumatra highlights the persistent danger the big cats face as the world celebrates Global Tiger Day today. The tiger, a young male, was ensnared for five days before help arrived, and eventually died from its injuries. The area in Central Sumatra where the tiger was found earlier this month is under increasing pressure from poaching and logging. Only about 400 Sumatran tigers survive in the wild. The incident comes eight months after a historic summit hosted by Russian Prime Minister Vladimir Putin brought together NGOs, conservationists, civil society and leaders from 13 tiger range countries to forge a plan that would see the recovery of the endangered species. Government commitments and progress made to date after the summit will be reviewed at a Tiger Summit “+1” follow-up meeting, currently being organized for late 2011 or early 2012. Today, WWF’s Tigers Alive Initiative will chronicle the story of WWF Tiger Researcher Karmila Parakkasi, who works in the same Central Sumatra landscape where the tiger was ensnared. The team’s camera trap videos recently gained worldwide attention when they captured two tiger families in an area called Bukit Tigapuluh (“30 Hills”), under imminent threat of clearing from pulp and paper companies. This follows a historic announcement on Thursday, when the Indian government released the final results of a 2010 countrywide estimation of tiger numbers showing the national population had actually increased by 20 percent to 1,706 individuals from the previous census in 2006. “These results show that with good protection, unyielding government commitment and robust participation from partners and civil society, poaching can be reduced and tigers can thrive,” said Baltzer. 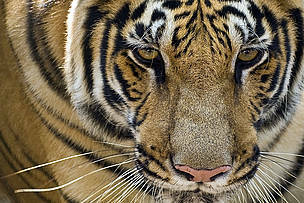 “Where those vital elements are missing, tigers continue to be killed by poachers”. As part of Global Tiger Day, WWF offices in tiger countries join governments and civil society in a wide range of celebratory events. •	In Vietnam, an entire day of events are scheduled in the capital Hanoi, including interviews with government ministers, a TV talk show, a youth tiger ambassador talk, children’s art activities and performances, showing of a film on tiger trade and an associated workshop on the Vietnam Tiger Recovery Programme, to be held shortly after the 29th. • In Malaysia, a film on challenges of conservation in the Belum-Temengor tiger area will be premiered to officials, the public and WWF partners. •	In China, WWF will organize a forum to launch the National Plan for Recovery of Wild Tigers in China, in addition to an on and offline campaign to recruit tiger ambassadors and increase public awareness. •	In Nepal two television programmes, one in the morning and one in the evening, will feature WWF representatives speaking on tigers and anti-poaching. WWF-Nepal’s Young Conservation Ambassador, Miss Nepal 2010, will spread the word in popular shopping areas, and the public will be engaged with flier distribution and other activities. •	In Bhutan, a full day of events will center on the release of tiger population estimates for Royal Manas National Park. Bhutan’s Tiger Youth Ambassador from the St. Petersburg Summit’s concurrent Youth Summit will take part in a tiger conservation talk, in addition to the holding of a tiger painting competition and awards ceremony. The tiger is the largest species of all cats.